Distance, the spiritual successor to Nitronic Rush crowdfunded on Kickstarter in November 2012, is finally coming out of Steam Early Access. 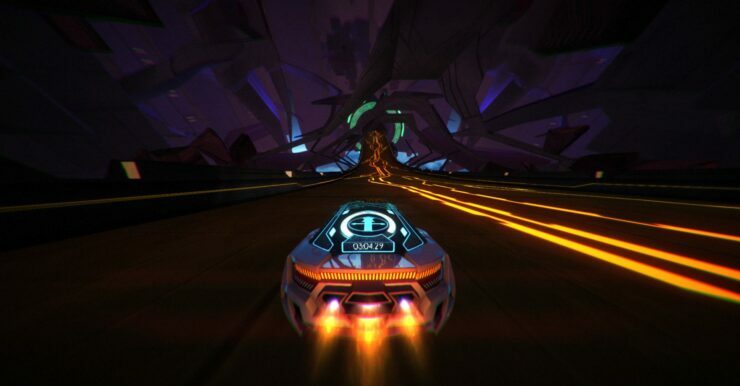 The arcade racing game made by the Seattle-based independent team Refract Studios launched on the platform in September 2014, so Distance 1.0 will land about four years after the Steam Early Access debut. So far, customers have relayed very positive reviews with a 93% approval rating. Distance is also planned to hit PlayStation 4, though Refract Studios did not provide a release date for Sony’s console yet. Meanwhile, you can check out the 1.0 teaser trailer below and/or read Jorge’s hands-on preview from PAX East 2017. Adventure Mode: A short single-player narrative experience. Drive into the heart of a dark, mysterious city as you pursue an ominous threat. Arcade Mode: Race ghosts to take on the leaderboards’ best. Earn medals to unlock a wide variety of tracks in several different modes. Multiplayer: Online (up to 12 players) and split-screen (2-4 players) play in modes such as Sprint, Reverse Tag, Stunt, and Challenge. Level editor: Use a powerful level editor to create levels from within the game and share them with players around the world. Original soundtrack: New music from the composer behind award-winning games like Nitronic Rush, Solace, and The Fourth Wall.